DO I HAVE TO ACCEPT CHECKS OFFERED BY THE ADJUSTER? If an insurance company claims adjuster offers an immediate “on the spot payment” make certain that it is only an “advance” and not a final settlement. You should have a final settlement reviewed by an attorney, unless you are certain that the settlement offer is fair. Don’t be in a hurry to give the insurance company a “release.” You may later uncover serious damage that you did not initially recognize. Once you sign a release in favor of the insurance company, you may not recover anything further form them for that claim. WHAT IF I DISPUTE THE ADJUSTERS EVALUATION? If you feel your insurance company is not treating you fairly, be firm but polite. Take careful notes of who said what to you, and get the company to respond in writing, if possible. Consider retaining a “public adjuster” or lawyer to assist you. Both will typically work for you on a contingency basis. Most lawyers who are experienced in handling insurance claims will have a public adjuster that he works with to make sure that the claim is being given a fair and reasonable evaluation. If your lawyer has to file a lawsuit to get the insurance company to pay and you prevail in the case, the insurance company will be required to pay your attorney’s fees and costs. 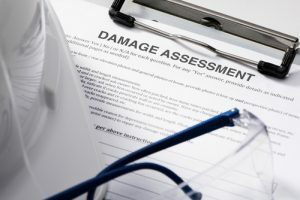 Unlike insurance company claims adjusters, who are paid to keep claim costs down, public adjusters and lawyers seek to make sure you get all the benefits you have been paying for. Your insurance company owes you a duty of good faith. If it wrongfully denies or low-balls your claim, it may be liable for both benefits due under your policy and punitive damages for bad faith. With offices in West Palm Beach and Tallahassee, we are strategically located to handle disputed insurance claims for all hurricanes. We handle cases throughout the states of Florida and Georgia. We invite you to ask our West Palm Beach personal injury attorneys at Smith & Vanture, LLP questions about your hurricane claim for free, by submitting your question on the “Contact Us” form.